First, thank you for being here! 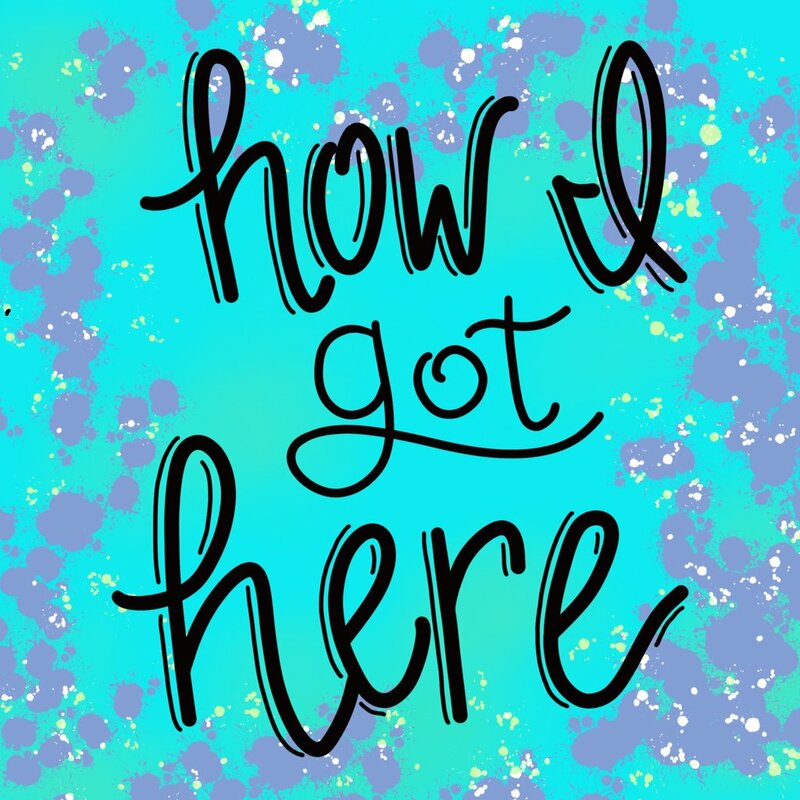 The fact that you’re even reading this blog means that you’re helping to fulfill my dream of supporting my family through my hand lettering business and I’d love to get to know all of you more as this journey continues. To help you get to know me, I’d love to share a little bit more of my story about how Milner Made came to be. When I was in early elementary school, I remember being in an art camp and making a jungle scene and my art teacher made such a big deal about how large I was drawing. I remember using up the entire page with each tree touching the top and bottom edge of the page. Looking around everyone else’s paper had these tiny trees floating in the middle of the page. Mine was definitely different. It grew to be one of my favorite pieces of art. My dad had it framed and it hung in his house for a long time. There were many pieces throughout my childhood that my parents would frame and hang up. Once they were framed they hung around for-ev-er (for better or worse). My parents were always very encouraging and fostered that artistic talent (that I got from my grandpa). During high school, I realized I wanted to teach art when I grew up. So that’s what I did. I went to a state school with a strong Art Education department and immediately, by the grace of God, got a job teaching Art in a high school. I LOVED this job and taught there for 9 years before we had our daughter and I decided to stay home full time with her. But y’all, I’m an extrovert! I NEED to keep connecting with people! 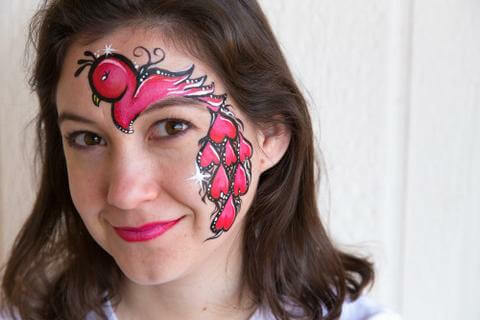 It was a tough transition, but I eventually found other mommy friends and taught myself how to professionally face paint. I had hit the jackpot! I got my extroverted needs met by being at birthday parties and chatting with parents, my kid needs met by painting wiggly faces (AKA canvases that move!) and my artistic needs met by physically painting again. Two years into being a mom, we moved across town and had our second child within a month. This made for a really difficult season with a new baby, a toddler who had a hard time transitioning into a new place with less attention, and a house to unpack. This season made up some of the longest days and longest nights of my life. It was during that season that I felt myself slipping away from God and found it extremely difficult to physically open my bible and be filled with His Truth. I was drowning in lies like “this is never going to end,” “everyone has forgotten me,” or “we shouldn’t have moved,” just to name a few. I also just felt in over my head as a stay at home mom learning how to take care of two kids instead of just one. The only way I could think of to be filled with truth was to put bible verses up on the walls and mirrors so that it took zero effort to find. 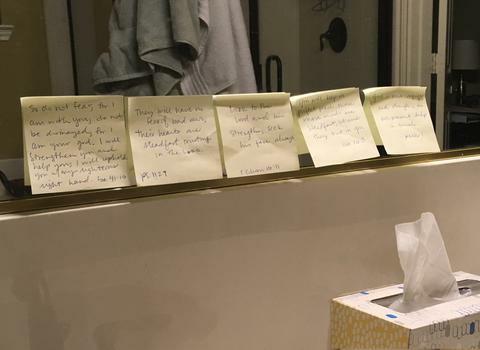 I hand wrote (in sloppy handwriting) bible verses on chalkboards, on index cards taped to mirrors, and on post-it notes on walls and on the dashboard of my car. I would walk by a post-it note and read the verse on the way to the laundry room (for the hundredth time) and meditate on God’s Word. It wasn’t a magic pill that made all my problems go away, but it was a constant reminder that God was WITH ME. God SAW ME. I was reminded he would never leave me or forsake me. 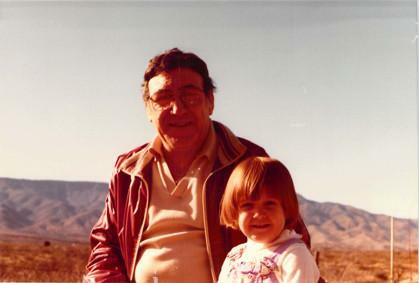 I was reminded that HE was the strength inside me putting my one foot in front of the other. This method of being in God’s Word was literally LIFE CHANGING. My prayer is that you would find something in my shop that would remind you of how loved you are and point you back to our marvelous creator.